1.1 What is the Social Inclusion and Community Activation Programme? 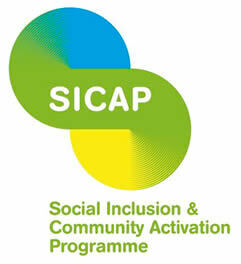 The Social Inclusion and Community Activation Programme (SICAP) has been developed within Ireland’s dynamic social and economic landscape as the successor programme to the Local and Community Development Programme (LCDP) 2009-2014, and prior to this the Local Development Social Inclusion Programme (LDSIP) 2000-2006. The design of the Social Inclusion and Community Activation Programme has been informed by the views of the community and voluntary sector, in conjunction with Government and statutory priorities. Programme Implementers, with the support of Local Community Development Committees (LCDCs), will target those who are the most disadvantaged and excluded in our society. LCDCs, in conjunction with the contracted Programme Implementers, are required to empower communities to work collaboratively with relevant stakeholders using a broad range of supports and interventions facilitated via the new programme funds. The three SICAP goals contain activities that are focused on the most disadvantaged groups and individuals. Each goal has individual objectives, outcomes and indicators, which are set out in Section 3 of this document. Programme Implementers are required to reflect the broad scope of the three SICAP goals in their approaches and actions. This involves engaging with marginalised communities and a wide range of service providers using an integrated and community development approach to address issues relating to social exclusion and inequality. In addition, Programme Implementers will support individuals from the target groups to participate in and progress through life-long learning opportunities, and move individuals closer to the labour market by supporting them to access different types of employment. Whilst operating within a national programme framework, the programme affords sufficient local flexibility to Programme Implementers to be able to respond to local priorities. Individual communities throughout the country have particular needs and circumstances may differ considerably between them. Thus, while SICAP is a national 6 programme, it has sufficient flexibility to be tailored locally to best meet the needs of disadvantaged areas and target groups. The programme focuses on the synergies to be achieved between it and other national, regional and local strategies for social inclusion, activation and community development. By focusing on potential space for synergies it seeks to reduce the duplication of services and thus ensure greater value for money for the Exchequer. Horizontal themes relate to the core principles that cut across and have relevance to all areas of Programme Implementers’ work. SICAP is underpinned by three horizontal themes which relate to the promotion of equality, community development methodologies and collaborative approaches. Horizontal Themes of SICAP 1. Promoting an equality framework with a particular focus on gender equality and anti-discrimination practices; 2. Applying community development approaches to achieve the participation of disadvantaged and marginalised communities in the wider local development context; 3. Developing collaborative approaches with local (through the LCDC) and national stakeholders to improve how mainstream policies and programmes are delivered so that they have a more positive impact on the socially excluded. It is important for Programme Implementers to retain a focus on the Programme’s horizontal themes and ensure that these are appropriately incorporated within the strategic and annual planning process and also in their engagement with individuals and local community groups. SICAP seeks to promote an equality framework with a particular focus on gender equality and anti-discriminatory practices. Equality is about ensuring individuals or groups of individuals are treated fairly and equally and no less favourably, specific to their needs, including areas of race, gender, disability, religion or belief, sexual orientation and age. Equality work refers to work that can be described as having outcomes which promote a more equal society. SICAP Implementers will have to ensure that equality work is carried out with clients, as well as ensuring it is also reflected in their own internal practices regarding their employees and relationships with sub-contractors and suppliers etc. As part of the end of year report, Programme Implementers are required to report to the LCDC on the specific measures that are in place to promote the horizontal themes, including the identification of innovative work and practices that address the themes. As part of this process, the LCDC and Programme Implementer will reflect on how the horizontal themes can be further advanced in the next period. The duration of each SICAP contract is for a maximum of 33 months: 1st April 2015 to 31st December 2017. Continued funding is subject to a satisfactory annual performance review, which will commence in December each year and be completed by the following January. Please refer to the SICAP contract for further information regarding this. The annual performance review is set out in Section 6 of this document. SICAP is funded by the Department of the Environment, Community and Local Government with co-funding from the European Social Fund (ESF), including a special allocation under the Youth Employment Initiative (YEI). The Department of Education and Skills has primary responsibility for the ESF in Ireland and hosts a dedicated ESF Managing Authority and Certifying Authority, which liaise with the European Commission in respect of the fund. Day to day responsibility for managing ESF co-funding to SICAP rests with the Department. 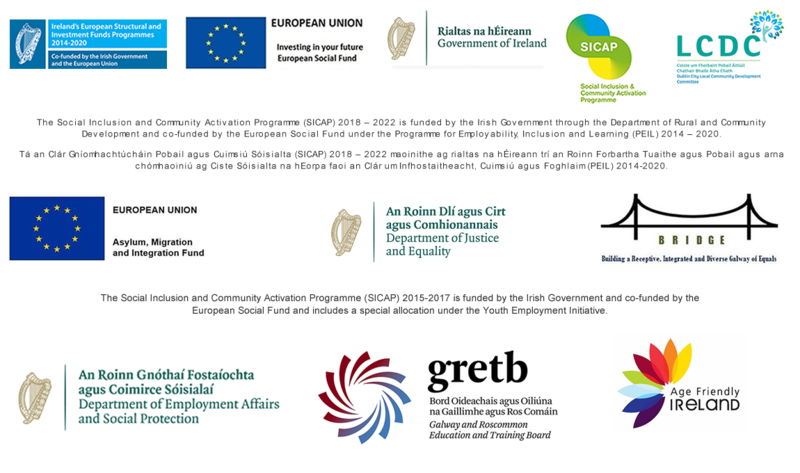 The ESF for Ireland, under the Programme for Employability, Inclusion and Learning (PEIL) 2014-2020, will contribute co-funding to support individual SICAP participants aged between 15-24 years over the lifetime of the programme. The ESF includes the Youth Employment Initiative made available as a special allocation to those Member States with a youth unemployment rate in 2012 above 25% and dedicated to young people not in employment, education or training (NEETs). Appendix 1 to this document further explains and situates the ESF in Ireland as part of the European Structural and Investment Funds (ESIF). In 2015, the YEI will co-fund SICAP programme participants aged 15-24 years who are not in employment, education or training (NEETs). The national definition of eligibility for YEI (NEETs) has been agreed between the ESF Managing Authority and the European Commission and is detailed in Appendix 1. As a new initiative, the European Commission will evaluate the YEI initiative on the strength of results achieved and has given YEI specific result indicators which must be collected in 2015. From 2016, all SICAP participants aged between 15-24 years and corresponding to the SICAP target groups are eligible for remaining ESF co-funding. SICAP will be delivered through a new framework for local development. Thus, it is important to define the roles of those organisations that have a formal role in the operation of the programme. A diagram illustrating the operating structure for SICAP is provided in Figure 1. The Department is the lead and funding department for SICAP, including in respect of ESF co-funding and the YEI special allocation. The Department will channel funding directly to LCDCs. LCDCs will undertake the role of the Contracting Authority to manage and administer SICAP at a local level and will direct funding to the Programme Implementer. As the Contracting Authority, the LCDC is the key decision maker at a local level and will have responsibility for monitoring Programme Implementers’ compliance in respect of financial management and performance monitoring. The LCDC will also have responsibility for decision-making at a local level in respect of the annual performance review and the annual planning process (Section 6). The Programme Implementer will operationalise the SICAP Action/Annual Plan and report directly to the LCDC on actions, targets and financial reporting. The contract between the LCDC and Programme Implementer sets out in full the contractual conditions. In cases, where the delivery of SICAP is through a consortium arrangement, the Programme Implementer identified as the prime contractor in the procurement process, will have overall responsibility for the performance of the contract. The LCDC will liaise directly with the nominated contact on all matters relating to the programme, irrespective of whether the tasks are undertaken by a consortium member and/or sub-contractor. The relevant Local Authority will also be a party to the contract with the Programme Implementer. The Local Authority will (inter alia) administer the SICAP bank account and issue payments to the Programme Implementer, subject to the approval of the LCDC. Pobal will provide a national oversight role in respect of the SICAP programmatic and operational requirements and provide the Department with regular county, regional and national programme progress reports. Pobal will undertake a technical review of the financial reports, monitoring reports and annual plans, submitted by Programme Implementers (via the IRIS on-line system), to ensure compliance with the SICAP framework, financial rules and the monitoring of all performance targets. Pobal can recommend any necessary actions to the Department and/or the LCDC/Local Authority where issues and concerns relating to the management and delivery of SICAP are identified. Pobal will provide capacity building supports to LCDCs to assist in the strategic planning process and in delivering and evidencing quality standards in the programme. This will involve providing some ongoing technical support to Programme Implementers locally, as well as thematic working, dissemination and sharing of best practice to support the delivery of the SICAP goals and objectives.